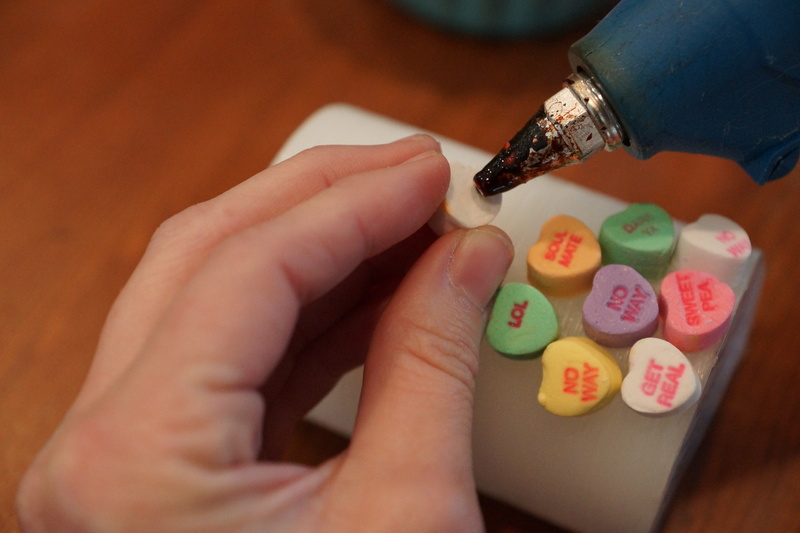 Looking for a fun DIY Valentine’s Day craft to do with your kids? Or even a special gift to give to your kids teachers? One of my favorite crafts to do with my daughter is to decorate candles for gifts. 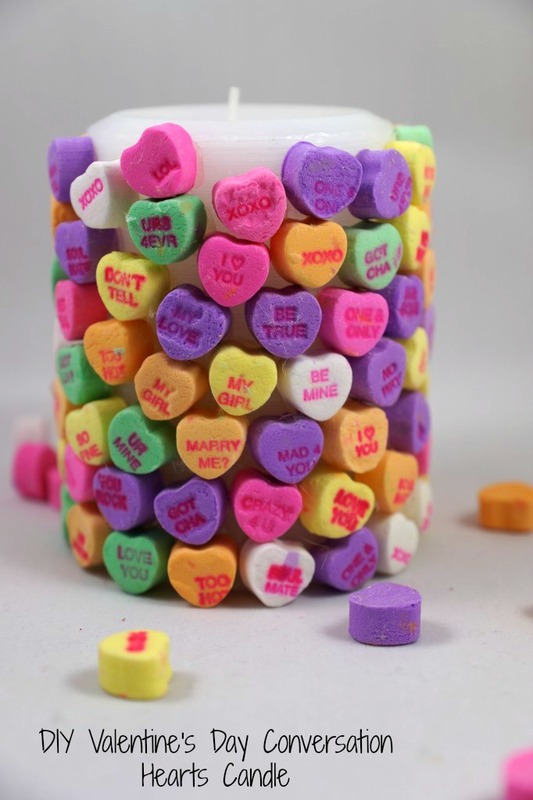 Since we have a plethora of candy hearts throughout our house, my daughter and I, decided to decorate a candle using candy hearts for the kids teacher gifts. I’ll be honest that this craft is much more of an adult craft than a child craft, but you can easily incorporate your children into the activity. 1. 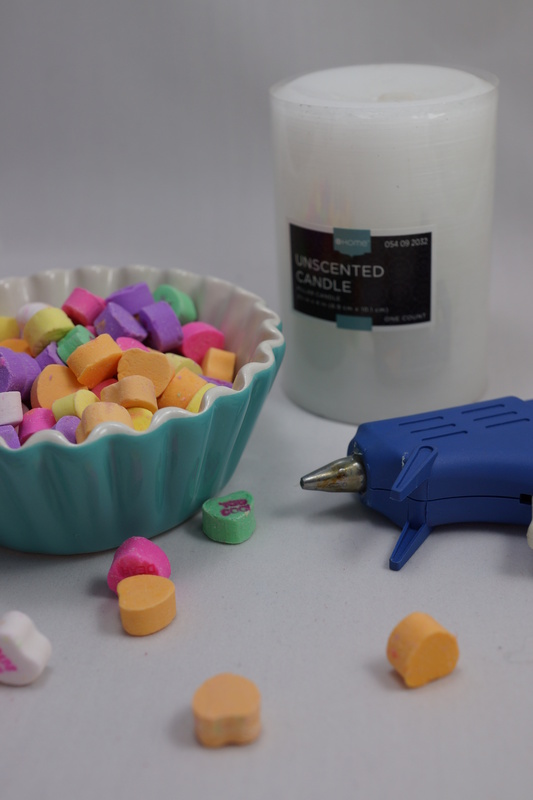 Using the glue gun, simply glue the candy hearts onto the candle – yes, it is that easy! 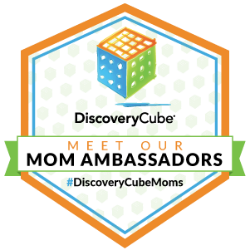 How do you get the kids involved? 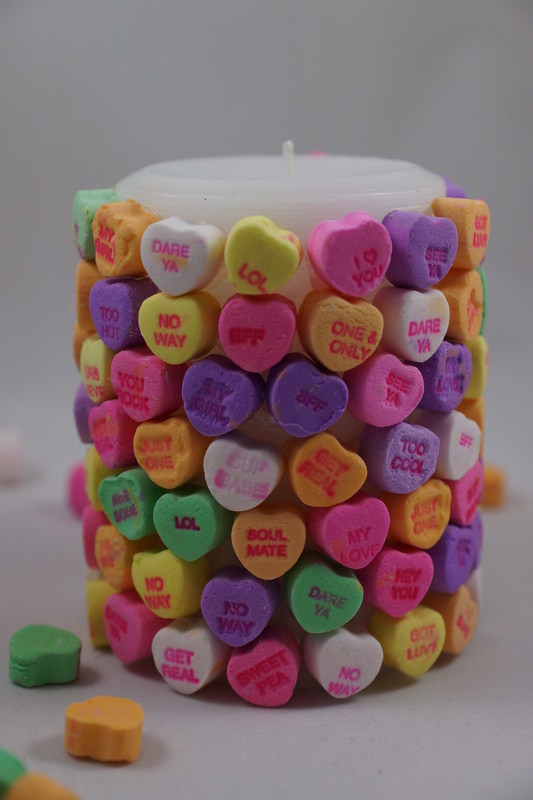 I had my daughter pick out all the candy hearts to be put on the candle, and she had fun deciding where every heart should go onto the candle. 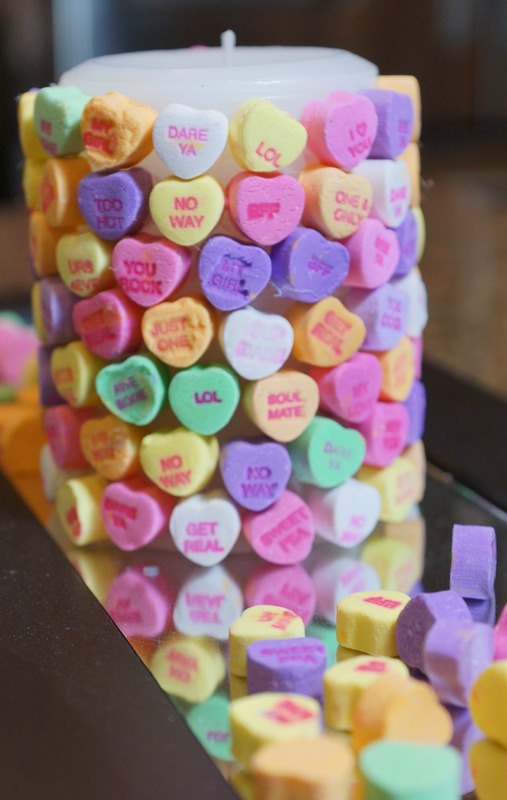 You will also need someone to hold the candle when sticking the conversation hearts onto the candle. Have fun creating these special gifts making them for decorating your house this year.